CountryHealth provides bespoke, personal, tailored healthcare to our clients. health screenings for individuals and companies. ﻿﻿Our ﻿﻿mission is to help our clients - and hopefully you - to ﻿﻿Get Well & Stay Well. ﻿﻿﻿In an emergency, always call 999 or 112. Please click on the button above to see our up-to-date price list. This supersedes all other prices published. Dena is back from holiday and busy catching up with calls and emails. We have opened a new branch in TALLINN, Estonia, in co-operation with Kordamed. Please check the link below to find out current availability and prices. We are happy to switch you to an alternative natural desiccated product and are very sorry for any inconvenience. Many patients suffer for years with symptoms of an underactive thyroid but have been told that "everything is normal". There is no one perfect way, no one symptom nor test result, that will properly diagnose low thyroid function or hypothyroidism. The key is to look at the whole picture – your symptoms and your blood tests – and then decide. 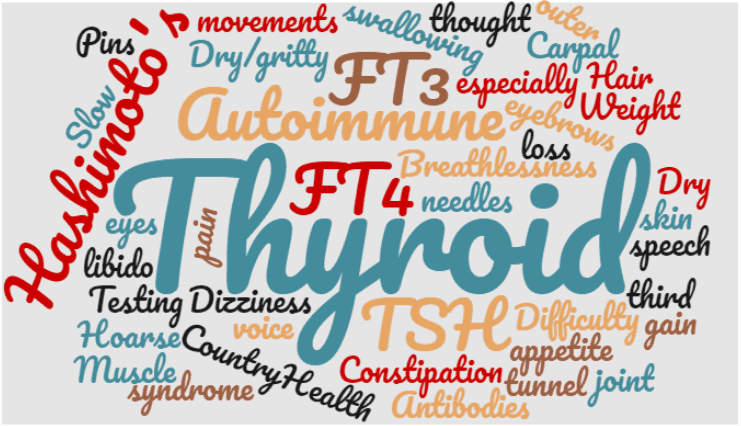 Most doctors just check something called thyroid-stimulating hormone (TSH) and sometimes your free T4 level, which doesn’t give a full picture of the thyroid. In fact, even the interpretation of this test is incorrect most of the time. Our patients come from all of England and we have a few patients in Wales, too. Whether you have a simple cold and need reassurance, need to have a second opinion about your health, want a health check, or need a private referral, we are happy to help you. We invite all new patients to attend a Registration ﻿﻿﻿Health ﻿﻿﻿Check. Functional Medicine takes a new approach. We want to find out WHY you are feeling unwell and whether there are any triggers we can remove to help you get better. Whether you have been suffering from asthma, eczema, IBS, chronic joint pains, headaches, or fatigue, functional medicine has a different toolkit to investigate further. We can look deeper, using extensive laboratory tests which are often not available in the NHS. Some tests travel to Germany or the US to specialist laboratories. You can always bring a chaperone with you. We do not stock or prescribe controlled drugs. Please ﻿contact your NHS practice for further advice, or call 111. Why not book a FREE 15-minute telephone consultation with Dr Frey to give you advice about our services. We accept all major credit and debit cards. Please settle our fees at the end of your appointment. We never store your card details. For online payments we have teamed up with stripe. Join Dr Frey on this short practice tour and find out about the philosophy of CountryHealth. Our patients usually get in touch when they need help that the NHS cannot provide. We can advise you on symptoms, organise specialist tests that are often not available on the NHS and can also refer you privately to specialists. We want to find the root cause of your problems, not just cover the symptoms with medication. Our affiliate practitioners complement our services to provide a multidisciplinary approach to your health challenges. A Health Screening can give you reassurance that you are in ‘good shape’ or highlight symptoms before they turn into problems. 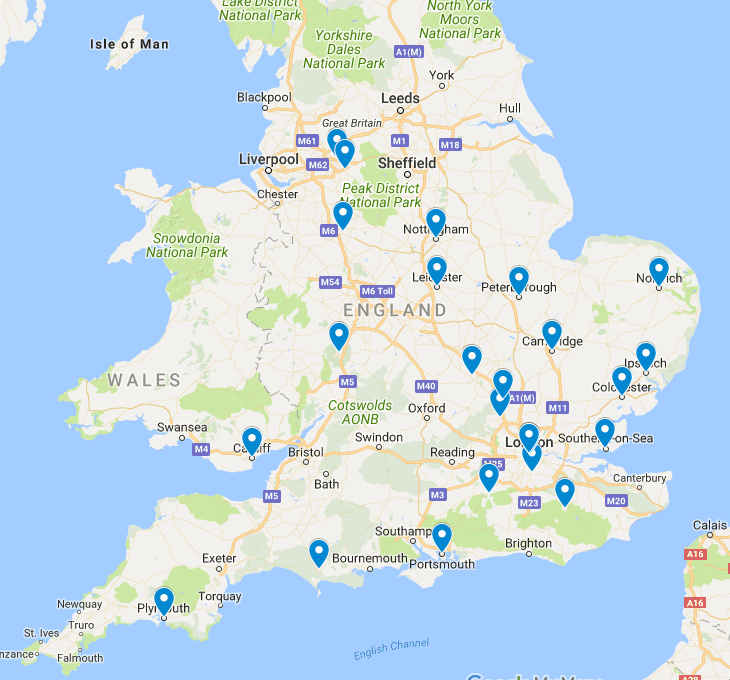 CountryHealth has teamed up with a variety of leaders in the diagnostic field to offer you innovative tests which are often not available on the NHS. Sign up to our newsletter and receive Dr Frey's Secret Recipe to Fight a Cold as a FREE download. If you feel that you are "hit" by a virus, you need to hit back as soon as possible.